Hank Garland wasn’t the first Country and Western guitarist to discover jazz as a new way of playing. Mundell Lowe (who knows him these days?) and Tal Farlow (whose Verve recordings have long become classics) are just two such musicians who are better known to jazz fans. Garland’s shining example Charlie Christian was his inspiration when he was invited to participate in a super session, and the LP "Jazz Winds From A New Direction" became a smash hit. With Joe Morello, the drummer responsible for the tricky, odd meter and Joe Benjamin, who had been instructed by Gerry Mulligan and performs harmonic magic even without a piano, and then Gary Burton, a newcomer (only 17 years old and completely unknown at the time!) on the vibraphone, these six numbers are a real phenomenon with regard to musicality, style and recording technique. 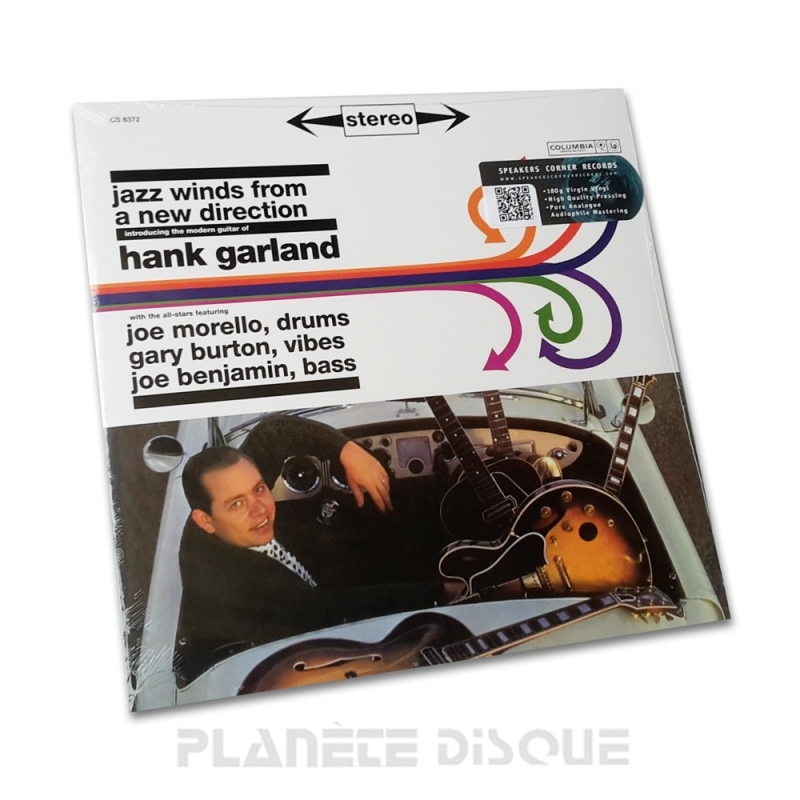 Unfortunately it was to remain a unique jazz session, for Hank Garland could never aspire to such heights again after his tragic car accident. That’s why jazz fans should snap at the chance to grab this newly mastered LP: it enriched the musical horizon of the musicians during the recording, and is guaranteed to bewitch the listener of today.